STRING THEORY: The singer being instrumental during his show. 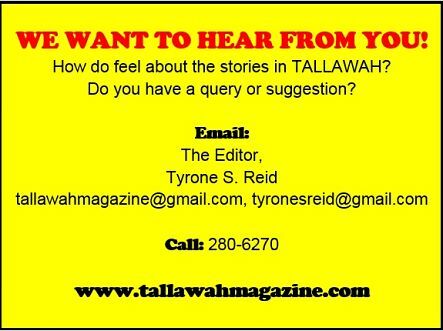 TALLAWAH: I recently played and reviewed "Choose Up," your radio-ready duet with R&B's Jazmine Sullivan. How did the collaboration come about? 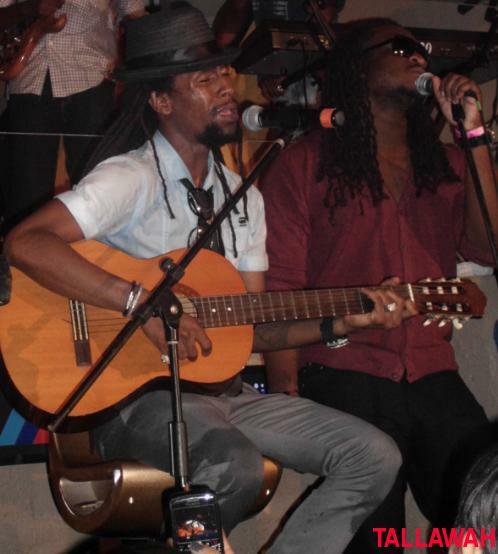 Jah Cure: She heard my music and said she likes how I sing as a reggae artiste. And companies that we both worked with in the past contacted her, and we became friends. I did my part and then sent the song to her, and she put her lines to it, and I loved it. The song just came together nicely. When can fans expect your next album? The next album will definitely be out next year. It's straight roots and culture, with some reggae rock. We'll probably release two albums because we're actually working on two albums right now, and one of them is an acoustic album. We're trying. One of the highlights of your performance tonight was the surprising rendition of "Jailer" by Asa, a longtime favourite of mine and an artiste who deserves to be better known. How did you discover the song? It's a song that I found out about when I went to France. A French lady introduced Asa to me, and gave me a CD, and I fell in love with Asa. I told myself that I don't sing over other artistes' songs, but I had to sing over that one. So I recorded my version [of "Jailer"] and put it on an album I did in the past called Universal Cure. I hardly perform the song. As a matter of fact, tonight was the first that I ever performed the song. So how has fatherhood been treating you? Lovely, because sometimes you have to take a break to watch the road and watch what your competition is doing, so you can make a re-entry with a bigger bang. So I'm enjoying being a father. It's a joy. You made a point earlier of paying tribute to your lovely wife, Kamila, during the performance. Looking back, how did you know she was The One? In life when you see The One, you're gonna feel it. Hairs stand up. Some different things happen. You're gonna know The One when you see The One. Nothing will be fake.